Many fantastic innovations have really been made with Rolex Watches in order to meet the needs of many people all over the world. Now, Rolex is pleased to offer its latest product that will enable you to explore and enjoy the fantastic beauty of the ocean with luxury and sophistication with the use of Rolex Sea Dweller DeepSea. Rolex has developed impressive watches that can accompany professional divers to depths of one-hundred meters up to 1,220 meters. 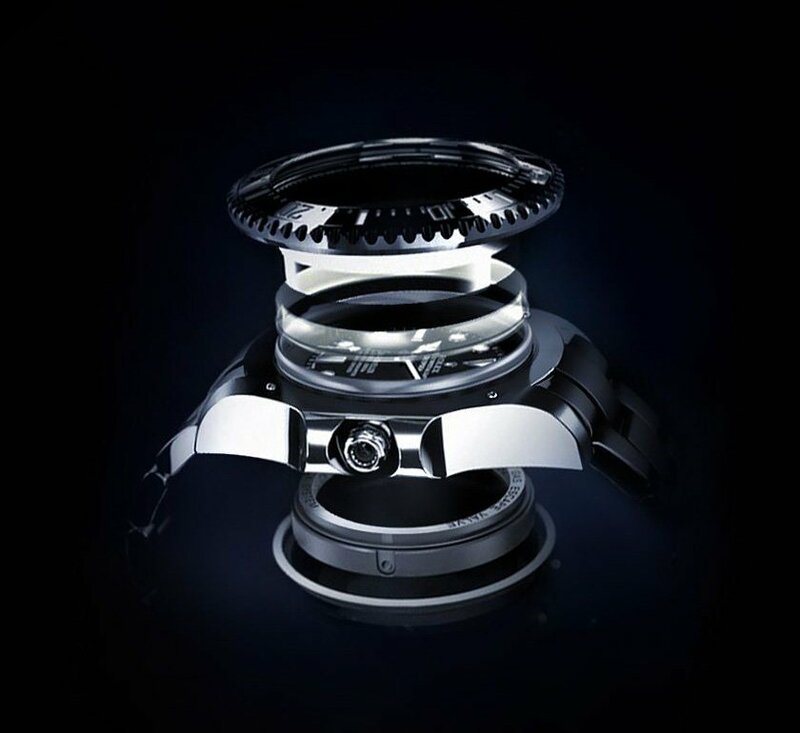 Just choose from a wide variety of excellent Rolex watches that are suitable to meet your specific needs. The original Sea-Dweller was actually designed for those deep-sea divers and such watches have been a vital part of their underwater adventures. The Rolex Sea Dweller now comes with additional unparalleled features to accompany those divers in their underwater mission, no matter how deep the water is. Entirely designed and developed by Rolex, the Rolex Sea Dweller DeepSea is a completely new watch that greatly benefits many divers. 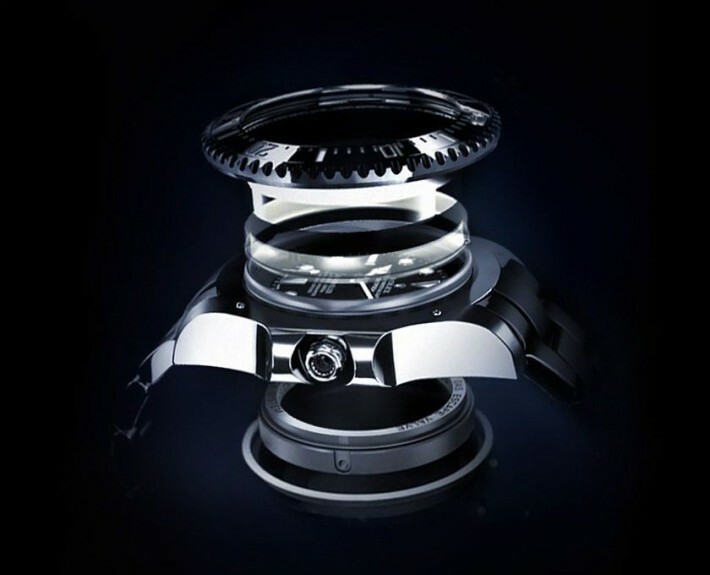 It comes with essential technical innovations and is equipped with an excellent Ringlock System that enables the watch to effectively resist the great pressure that is exerted by water at a great depth. This is also the very first watch to offer bracelet feature that comes with a double extension system that makes it more convenient to use over the diving suit. An exclusive technical innovation, the Ringlock System allows the Rolex Deepsea’s case to withstand water pressure equivalent to a weight of some three tonnes on the crystal. The Sea Dweller is also designed to respond to the demands of many professional divers when it comes to reliability, durability and precision. With the unique capability of the watch, it has been one of the most popular options for novice and professional divers. The Rolex Submariner is a great watch specifically engineered for extreme depths. The Sea-dweller provides a guaranteed waterproof to 12,800 feet. It has a sapphire crystal that is designed to be able to resist pressure. It is also featuring a case back that is constructed with titanium alloy, which is known as a highly resistant stainless material. It is actually held in place against the great-performance ring. There is a helium valve that is made of premier stainless steel. The size is also adapted to the case’s dimensions to be able to achieve an optimal waterproof ability. The helium valve is an essential safety feature that is responsible for releasing gases, infiltrating into the watch, during the phase of decompression. The Rolex sea-dweller deepsea is also equipped with a rotatable bezel that is unidirectional that comes with a sixty-minute graduated black Cerachrom disc, allowing the drivers to track their dive time in great precision. 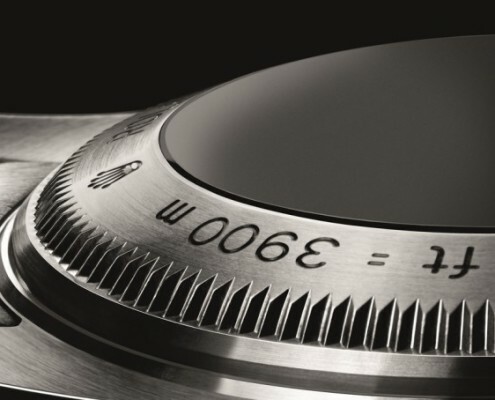 There is also a zero marker in the graduated bezel that can be seen longer at night or even in the depths of the ocean. This made possible with the capsule that contains new luminescent materials that emit a blue glow. The submariner and the Rolex Sea Dweller DeepSea are just a few of the many impressive innovations made by the company to ensure that all people will get the best product that they are looking for. Whether you are a diver or not, you can definitely benefit from all Rolex Watches. Since we are heading into the Finals for the FIFA World cup, I thought I would share this story of the greatest soccer player in history! In the world of Sports, there are players who are considered to be the best in history. In basketball we have Michael Jordan, who has also been a lifetime Rolex man; and in the world of soccer, Pelé is considered to be the all-time best. 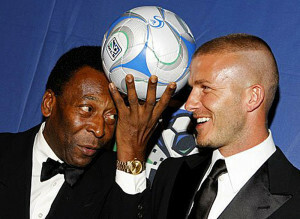 Pele has worn his trademark yellow-gold Rolex Day-Date for decades, as seen in this recent photo. Pelé was born Edison “Edson” Arantes so Nascimento in October of 1940 in Brazil. During his amazing career which ran from 1956 to 1974 he scored 760 official goals, and 541 in league championships, thus, making him the top scorer of all time!!! 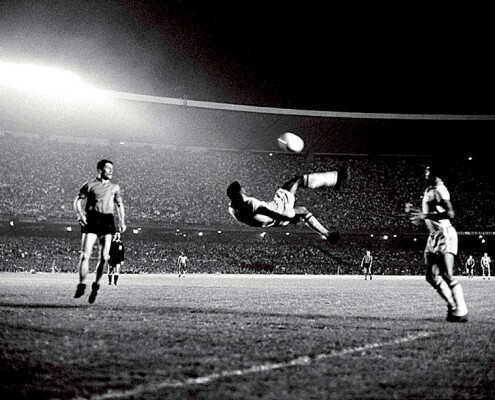 In his career Pelé scored a total of 1281 goals in 1363 games. Pelé is pictured below with David Beckham who is considered the greatest soccer player playing today. David Beckham is also a Rolex man and wears a Rolex DEEP-SEA. 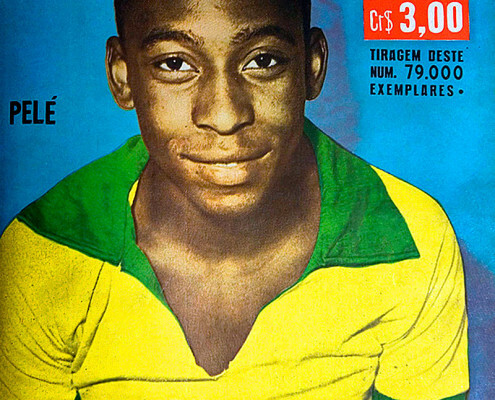 Pelé was born Edson Arantes do Nascimento in Três Corações, Minas Gerais, Brazil on October 21, 1940. Pelé’s father was a soccer player and named oldest son after Thomas Edison. 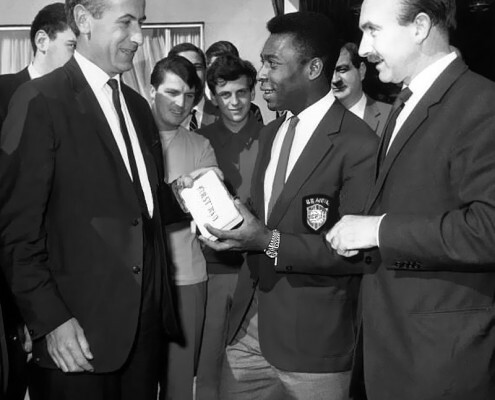 Edson was nicknamed Pelé when he was a young man, which was based upon his favorite soccer players name, who’s nickname was Bilé.Pelé was a young soccer prodigy and went on to become the greatest soccer player of the 20th Century! As men were pioneering ways to explore and live in outer space in the 1960s, another groundbreaking initiative was taking place closer to home, in an equally hostile environment: the ocean. Parallel efforts by the U.S. Navy, the French commercial diving firm COMEX and diving legend Jacques Cousteau were developing a way for man to live on the ocean floor by breathing a gas mixture made up of a majority of inert helium combined with oxygen. “Saturation diving”, as the new method was called, greatly increased possibilities for living underwater by removing the need to frequently come to the surface to decompress. Cousteau’s Conshelf habitats, COMEX’s deep diving bells and the Navy’s SEALAB program had brave volunteers living on the sea floor for up to a month at a time. Aside from the obvious physical stresses this involved, another problem was discovered: the crystals of their watches were blowing off upon decompression at the end of their time on the seabed. 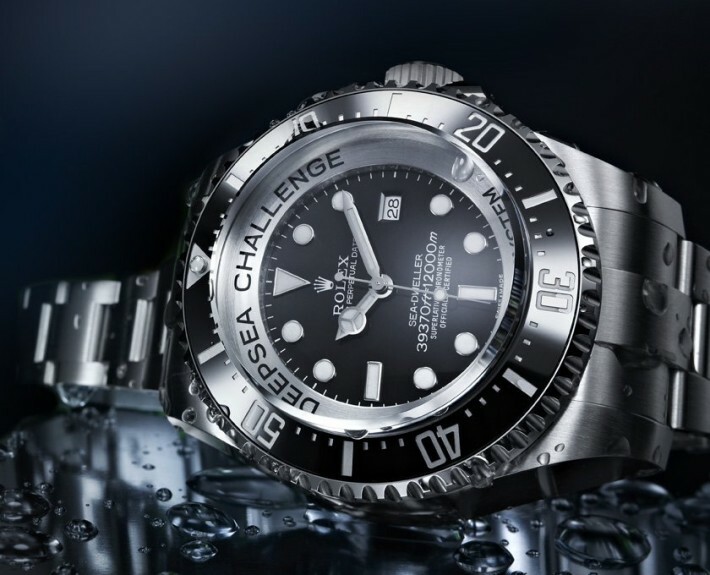 A new dive watch was needed, and Rolex responded with the now-legendary Sea Dweller. Helium atoms are small — so small that they can penetrate even a tightly sealed dive watch used inside a helium-saturated underwater habitat. Under the pressure exerted by the deep ocean, this has no consequence. But during the decompression phase, as the diver is slowly brought back to surface pressure at the end of a job welding oil pipeline or conducting experiments, the helium inside the watch expands and builds up pressure. With nowhere to escape, the quickest exit tends to be the watch crystal, which pops off with dramatic effect and renders the watch useless. The answer to this unique puzzle seemed to be a simple one-way valve fitted in the watch case that could pop open when the inside pressure reached a certain point, releasing the helium inside. 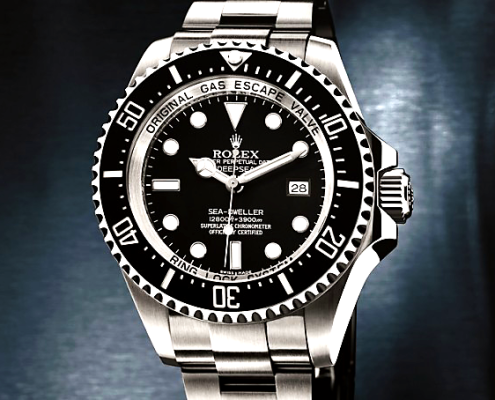 Some accounts attribute the original idea for this“gas escape valve” to COMEX, who worked closely with Rolex, while others give credit to U.S. Navy SEALAB diver Robert Barth, who approached a Rolex USA representative at a diving trade show. The truth is probably a little of both. Regardless of its exact origins, the result was the Rolex Sea Dweller. The very first Rolex Sea Dweller, a prototype rated to 1,500 meters without a gas escape valve, was designed for use in the SEALAB project; at least some of the 20 prototypes built were issued to Navy divers. An example of this extremely rare model, known today as a “Single Red Sea Dweller” to collectors due to its one line of red text on the dial, sold at auction for half a million dollars in 2012. 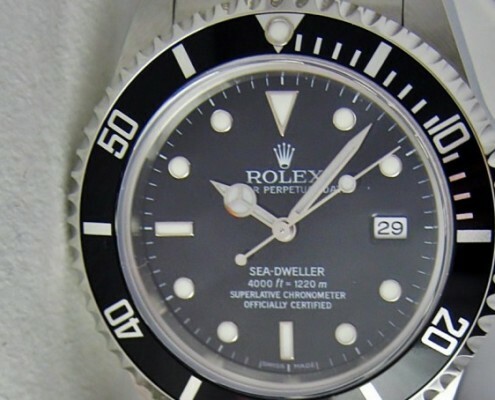 The first Rolex with the new gas escape valve was probably a reference 5513 Submariner retrofitted for COMEX. But it wasn’t until 1967 when the extreme depth rating and the first-of-its kind release valve came together in the reference 1665 Sea Dweller, the first commercially available model. The reference 1665 Rolex Oyster Perpetual Sea-Dweller Submariner 2000, as it was known, sported an impressive 2,000-foot (610m) depth rating. 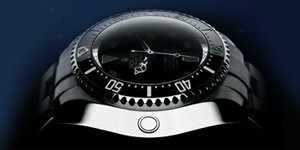 This was made possible by a case and crystal that were slightly thicker than those on a Submariner — a watch that could “only” withstand a depth of 200 meters. 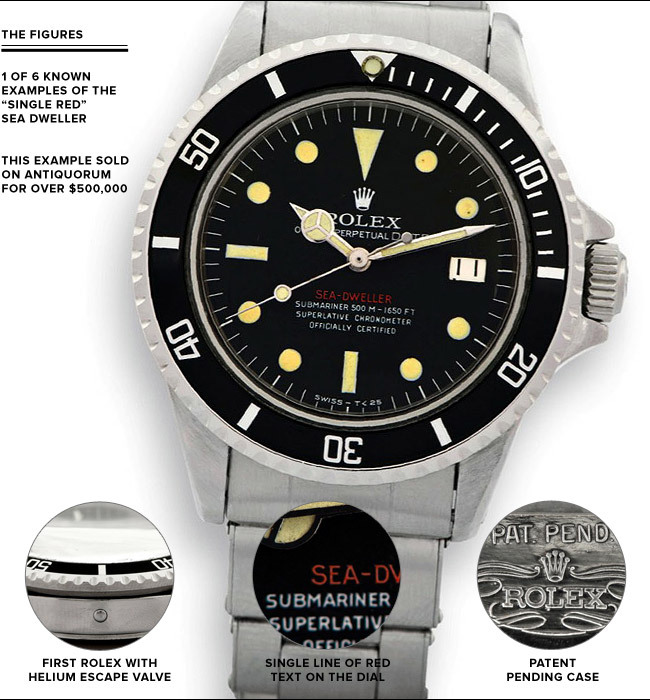 The “Sea Dweller” and “Submariner 2000” lines of text were both printed in red on the earliest models, leading collectors to nickname it the “Double Red Sea Dweller”. Later, the standard became white text; that deviation may seem small, but the Double Red, or DRSD, is worth twice as much as the “Great White” Sea Dweller on today’s vintage market. The last iteration of the Sea Dweller came about in 1978, when Rolex updated the watch with a sapphire crystal, upped its depth rating to 4,000 feet, and added a quickset date feature and a larger helium escape valve. This reference 16660 was first fitted with a matte dial and white gold marker surrounds. It later transitioned to the glossy dial found on all modern Rolexes, and took up the slightly tweaked “reference 16600″ name. Rolex sold the Sea Dweller until 2007, when it was discontinued to make way for the Sea Dweller DeepSea, a 3,900-meter water resistant leviathan that shares little in common with the past Sea Dwellers beyond its nomenclature. The Sea Dweller was never as popular as the Submariner, probably due to its thicker and heavier case. Still, this relative obscurity is part of what has endeared it to collectors for years, and more than ever. This was a pure example of a purpose-built watch, and unlike anything the world had seen. There’s no contrived aura around the watch that brands so often try to imbue upon their timepieces today. Quite to the contrary. The Sea Dweller earned its bones the hard way, through trial and error in the hostile deep. The new Rolex Oyster Perpetual Sea-Dweller 4000 brings a legend of professional diving back to life. 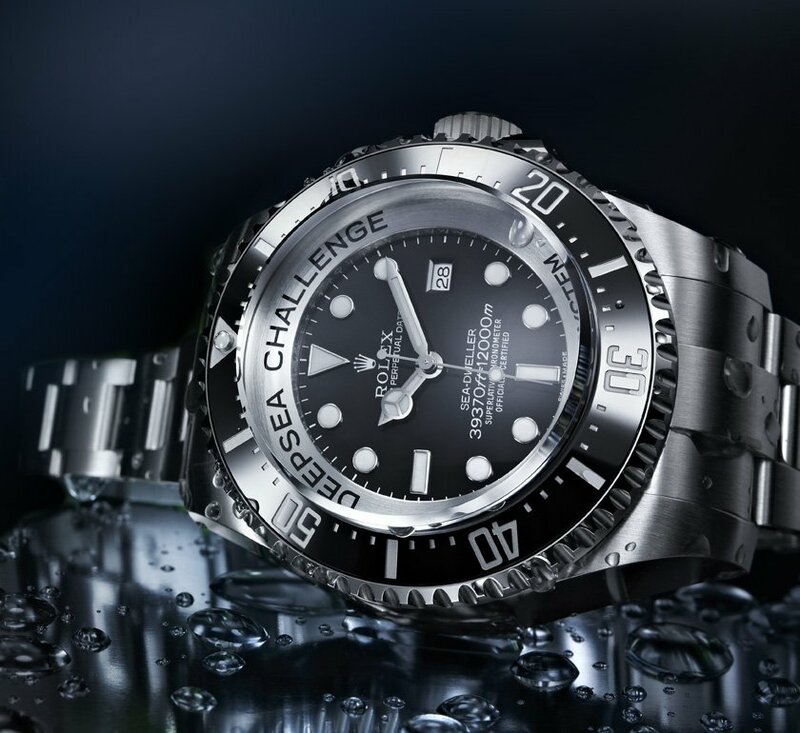 Revealed at Baselworld 2014, this 40 mm-diameter technical model, waterproof to a depth of 1,220 metres (4,000 feet), features all the latest Rolex standards of innovation while remaining faithful to the original aesthetics of this iconic diver’s watch. Ask TPG: Rolex Sea-Dweller or Deepsea? I own a Rolex Sea-Dweller 16600 which I purchased in 1993. I recently had it serviced by Rolex who fitted new dial, hands and bezel. It looks like new and I am very pleased with it. I have considered buying the new Deepsea model but would have to part exchange my 16600 to bring down the price a bit. I have read on the net comments for and against the Deepsea and would value your opinions as I am not sure what to do. Stephen, I normally make a rule of never giving anyone advice about what watch to buy. Ultimately, it’s the easiest thing in the world: you should simply buy what you like, what sings to your heart – and obviously no one except you can tell what that is. On this occasion though, I’m going to make an exception and wade in guns blazing. My advice is simple and unequivocal: stick with your Sea-Dweller. The reference 16600 is one of Rolex’s best and most iconic designs. It’s one of my all-time favorites and the subject of one of the very first posts I ever wrote for TPG. The Deepsea? Not so much. Look, the truth is that, since it was first announced, I’ve slowly got over my initial revulsion at the size and gaudiness of the Deepsea. The years have gently made it look a little more acceptable. The writing on the chapter ring will always jar and the super-sizing of the case will never look quite right with the bracelet but I’ve become a little more accepting of it than I first was. Hell, I’ve even been caught occasionally glancing admiringly at its much improved bracelet and new ceramic bezel. But here’s the thing, the Deepsea has none of the subtlety of the reference 16600, it will always look like it – and by association its owner – is trying just a little too hard. Like the rest of Rolex’s current line-up, it was designed for people who want to show off rather than get a job done. Despite its impressive engineering accomplishments, it still looks too much like jewelry to me rather than a tool watch. Stephen, let me tell you a story: I know a Dutchman. He’s tall, big, loud and an incredible shot with any firearm you might care to challenge him with. He hunts (well) and is an incredible cook, when he hasn’t downed more than a half-bottle of vino first. He licks his fingers during mealtime prep and is a genuine man’s man. This is cemented by his having owned and been entirely faithful to one watch for almost a decade: a Rolex Sea-Dweller 16600. This watch has served him flawlessly during all this time despite being worn daily and subject to abuse that would shame a boar’s intestines. He wears it with suits, jeans and loud shorts. He wears it to work, at home and in bed. I even wash his Sea-Dweller for him whilst he prepares magnificent feasts. We both concur that this is truly the watch for him and the remainder of his years, and a timepiece for his sons to fight over when the time comes. The way he drinks and carries on, this will no doubt be sooner rather than later. Anyways, this Dutchman’s brother bought one of the very first DSSDs. In the first months after sales began, prices doubled on the secondary market. And then they tanked. Hard. I was unfortunate enough to once catch sight of this monster from the deep on the brother’s wrist. It looked like a piss-poor fake, its cartoon-like dimensions, accenting and design so glaring I had to turn away to save my eyes and fine sensibilities. Being far less diplomatic and self-effacing than the Fool – particularly when the bar doors close, the blinds come down and the after-party starts – I’m always ready to help a fellow watch enthusiast with their quest. Whether it’s to the corner to merely ogle watches in a display case or the first tentative steps into the terrifying yet incredibly rewarding world of vintage timepieces. You know that I agree with the Fool and would go even further in saying there is absolutely nothing redeeming about the DSSD. At all. This said, you’re the one who is going to potentially wear it. And if you truly desire it, and it moves you ‘deeply’, then by all means take the plunge. But to me, this would be trading all that was great about Rolex for all that currently ails it. Stay clear of this trap. Stay with a true classic: the Rolex Sea-Dweller 16600.
https://goldmanwatchexchange.com/wp-content/uploads/2014/06/Rolex-Deepsea-2.jpg 454 680 GOLDMAN WATCH EXCHANGE https://goldmanwatchexchange.com/wp-content/uploads/2015/07/goldman-watch-exchange-logo.png GOLDMAN WATCH EXCHANGE2014-06-24 18:13:332014-06-24 18:13:33Ask TPG: Rolex Sea-Dweller or Deepsea? © Copyright 2009 - Goldman Watches a division of Dan Goldman Jewelers. All rights reserved.